Great after sports and over-exertion! Watkins has been providing effective pain relief since 1868. Based on Watkins Original Liniment which was the very first product formulated by J.R. Watkins in the year 1868 and is still one of our best-selling pain relief aids! Watkins Pain Relief Spray provides quick relief from the discomfort of minor muscle pain, soreness, stiffness and backaches. I'm seriously in love with this lately and have been using it for neck, shoulder and back pain. It's allowed me to keep going through the pain and stick to my workout routine. It does have a stronger scent, but I actually like it. It has a cooling tingly effect and the pain relief results are almost immediate. I would say a couple sprays last me a good 2-3 hour. I'm a huge huge fan of JR Watkins products and they're a local company for me so I love to support them even more. I use their petro carbo salve for burns or skin irritations and it works miracles. Look for a brand like Bragg's that is organic and raw/unfiltered (look for a product that appears cloudier) for optimal health benefits. Loving care is taken in the growing and preparing of Bragg Organic Raw Apple Cider Vinegar for your body. It is never heated or filtered. It contains the important Mother, which occurs as molecules of protein connected in strand-like chains. If sediment congeals, shake before using. 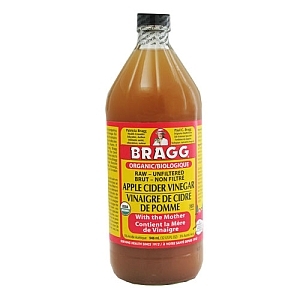 Bragg Apple Cider Vinegar is made from the best organically grown apples. 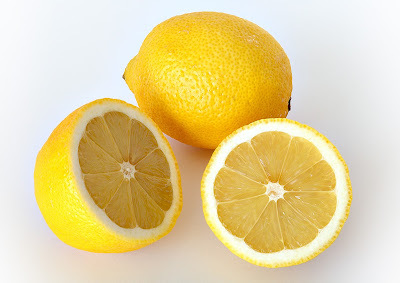 It is a nutritious way to add zesty flavor to most foods. Try delicious Bragg Organic Apple Cider Vinegar in your favorite recipes. Adds special zest to salads, dressings, veggies, sauces, pickling, canning, and it makes delicious and nutritious drinks. This sure doesn't taste good, but you can mix 1-2 teaspoons with water to dilute the taste or you can use it to cook with. It is debated, but there may be weight loss benefits. Ask traditional medicine and they will say there is no research to support that, but search the web or read/listen/watch shows/books that highlight alternative remedies and you'll probably become a believer like me. Read a list of health benefits for common ailments (back pain, acne rosacea, sprains, pancreatic insufficiency, heart burn, etc) here. These provide a great alternative to some chemically laden water additives out there, some even marketed to children. See Food Babe's article here on the dangers of beverages with chemicals in them such as aspartame, dyes, caramel color, sodium benzoate, sucralose and more. Stur provides a natural alternative made with stevia. This provides a light sweet taste without being too sugary or overwhelming. On the clean eating plan I'm on and with my weightloss goals, drinking water is a key element, but there's only so much plain water I can drink in a day (the goal is to drink half your body weight in ounces). I'm so glad there is a natural alternative out there on the market that actually tastes great as well! Sample provided for review. I first heard about this on Dr. Oz and soon after went to pick some up at my local food cooperative. I bought the spray form, but this also comes in droppers. There are versions for kids and pets as well! I would start out with 1 spray on the tongue for stress relief and try this first around bedtime to see how it interacts with your body. I certainly felt 100% relaxed after using this and felt even a little high on flowers. I've used this three nights in a row and have gotten really excellent sleep, which is a rarity for me. I'd much rather spray this blend of 5 flowers on my tongue before bed to help with stress and anxiety over reaching for something stronger with potential dangerous side effects. I'm so glad I found out about this product and highly recommend it. As with anything, always research the product and discuss with your doctor and pharmacist how this may work for you. And probably my favorite and most widely used natural product would be anything with lemon. I use these in my water, I use them to clean, I use them to detox and reset my alkaline levels, I use them to freshen up the garbage disposal, I use them for salad dressing and in place of oil when cooking. I love the scent, they're affordable and widely available. It doesn't get much better than that! Comment and let me know what your favorite natural product is! I need that pain spray!! I really like J.R. Watkins products. I didn't know Bragg had other products besides Liquid Aminos! I'll have to check that out.